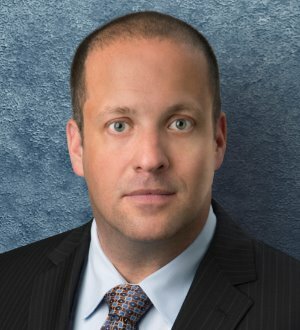 Adam Z. Solomon is a partner in Michelman & Robinson, LLP's (M&R's) New York office, where he represents clients in all aspects of advertising, digital marketing, promotions and compliance. Mr. Solomon advises digital agencies and advertisers regarding transactions for online and interactive advertising, programmatic media buying, mobile marketing, affiliate marketing, lead generation, data collection and usage, and behavioral advertising. He also counsels clients on social media and emerging products and technologies. Mr. Solomon has substantial experience in negotiating and drafting complex online marketing, Internet and licensing agreements. He works closely with his clients on how to minimize the legal risks associated with online advertising and marketing. He frequently counsels marketers and agencies on the structuring of sweepstakes, games and contests. Mr. Solomon routinely drafts official rules, reviews and advises on advertising copy, handles applicable state registrations and drafts winner affidavits and participant releases. He has extensive experience in the area of international promotions. Mr. Solomon reviews advertising and promotional materials to help ensure compliance with substantiation requirements. Additionally, he carefully evaluates marketing campaigns and sales practices to ensure compliance with relevant state and federal law. He advises clients on developments in consumer protection laws and guidelines, and performs compliance reviews for companies involved in social media marketing, negative option marketing, telemarketing, direct mail solicitations, testimonials and endorsements, email marketing, and other marketing strategies. Mr. Solomon regularly represents marketers in connection with federal and state regulatory inquiries, investigations, and actions. He both initiates, and defends, challenges to advertising claims before the Better Business Bureau’s National Advertising Division (NAD). He also handles consumer and business litigation involving false and deceptive advertising issues, unfair competition, and intellectual property.